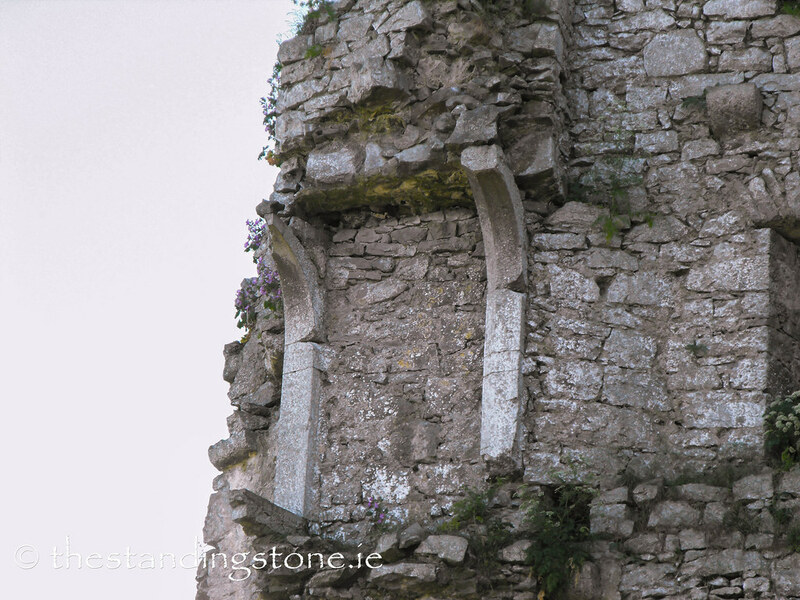 The Standing Stone: Kilduff Castle, Pallas Green, Co. Limerick. 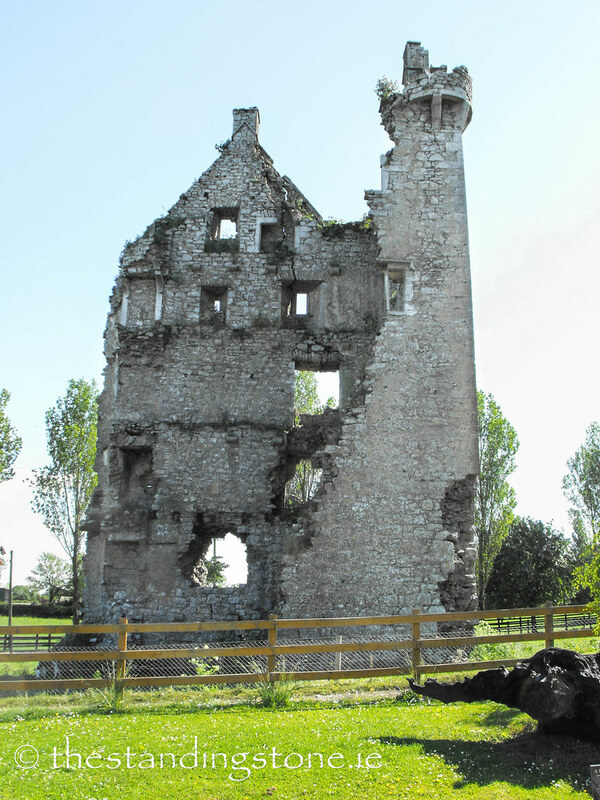 Kilduff Castle, Pallas Green, Co. Limerick. Location – In Pallasgreen on the N24. It is easily visible from the road and there is a pub carpark next to it. Description and History – This was one of those sites that I stumbled across at the end of a day out to various sites. 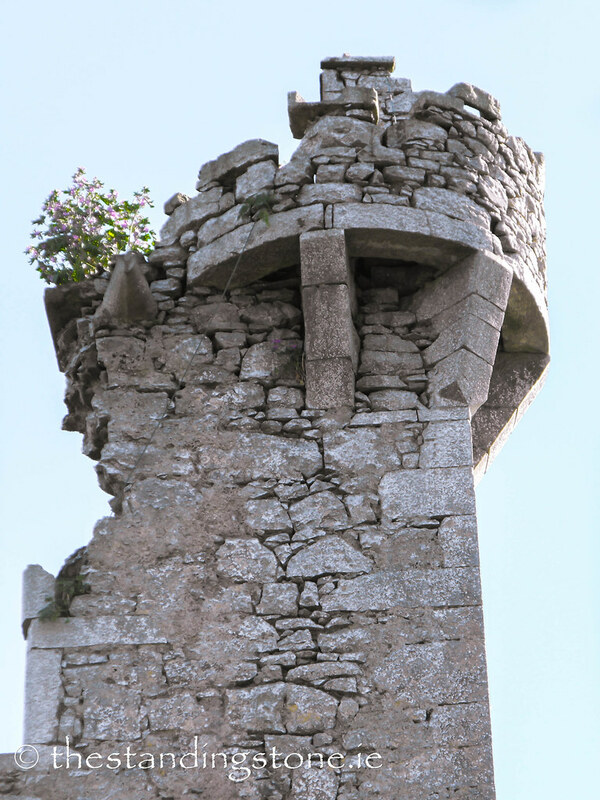 It is a nice tower house, but very ruined. 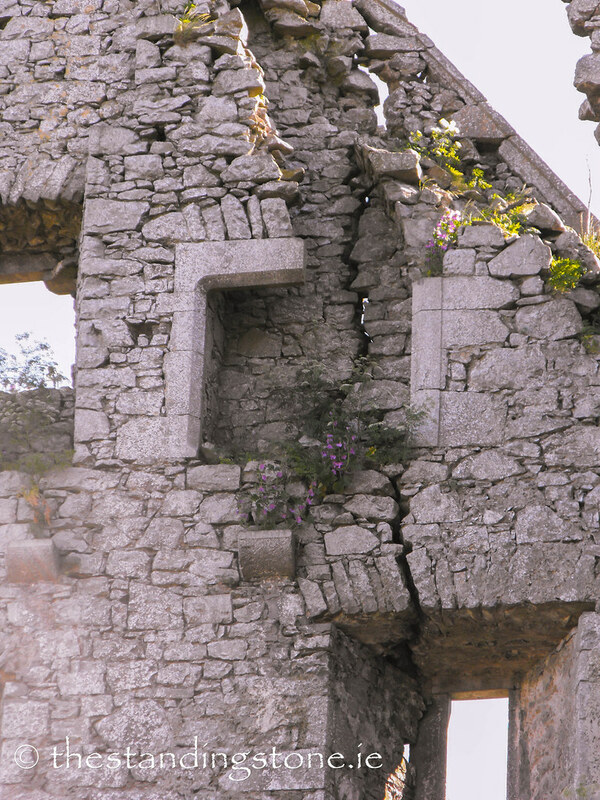 Two walls of the castle have completely collapsed, and no floors remain. 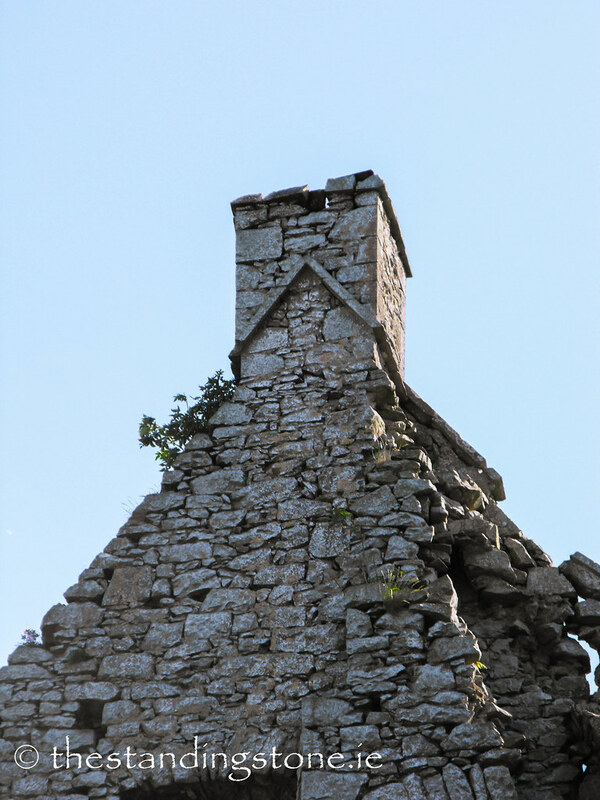 Some fireplaces and garderobes are still visible as is a very nice circular bartizan. However, I wonder how long the rest of the castle can stand. There are some serious cracks as you can see in the photos. 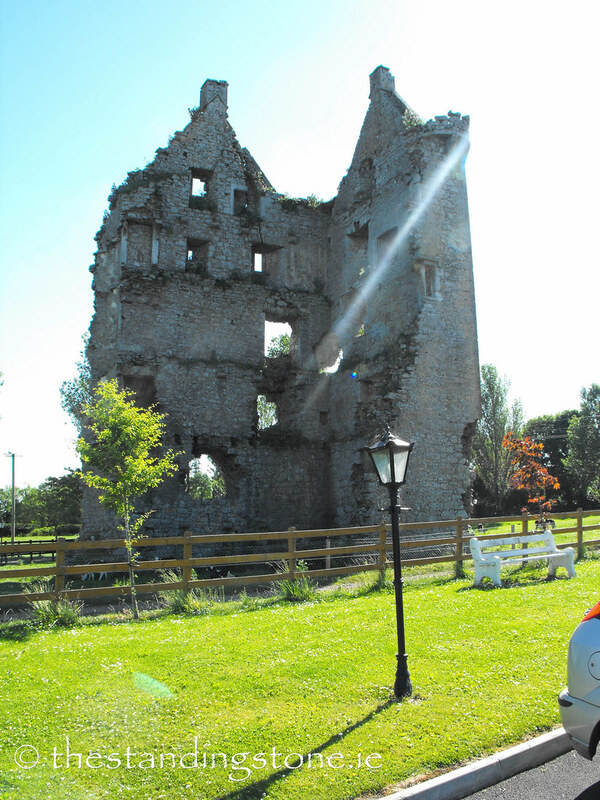 As to the history of the castle, it was built around 1550 by the MacBriens. In 1617 it was given to the Hurley family who were dispossessed and transplanted to Connaught during the Cromwellian settlement It remained in their hands until 1667. Later it was given to the Erasmus Smith’s Charity Schools and was probably ruined during the Williamite Wars. I visited this site in January of 2010, so a return visit is necessary to see the damage storms have done to the site. Difficulty – It’s on the main road in Pallas Green and easy to spot, it is also easy to view from the carpark next to the castle. There is a fence to keep people out of the castle and I would agree. It looks very unsafe. The bartizan is beautiful, but it sits precariously now. 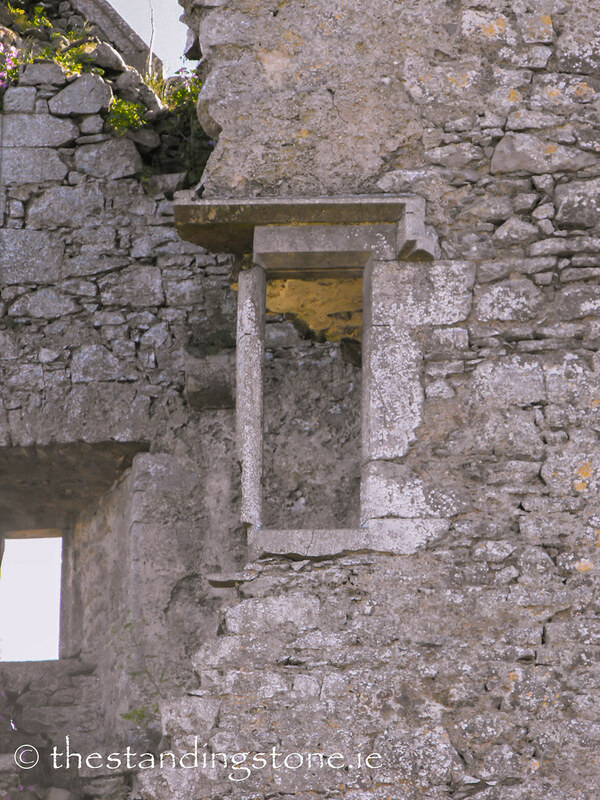 The split in the wall essentially creates two free-standing structures.